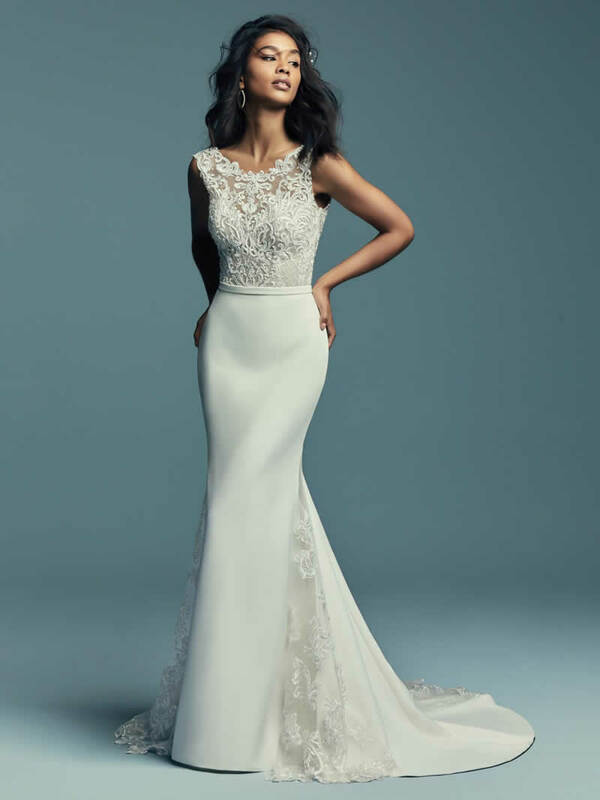 This unique wedding dress features a bodice accented in beaded lace motifs, completing the illusion bateau neckline and straps, a sheer scoop back with crosshatch detail. 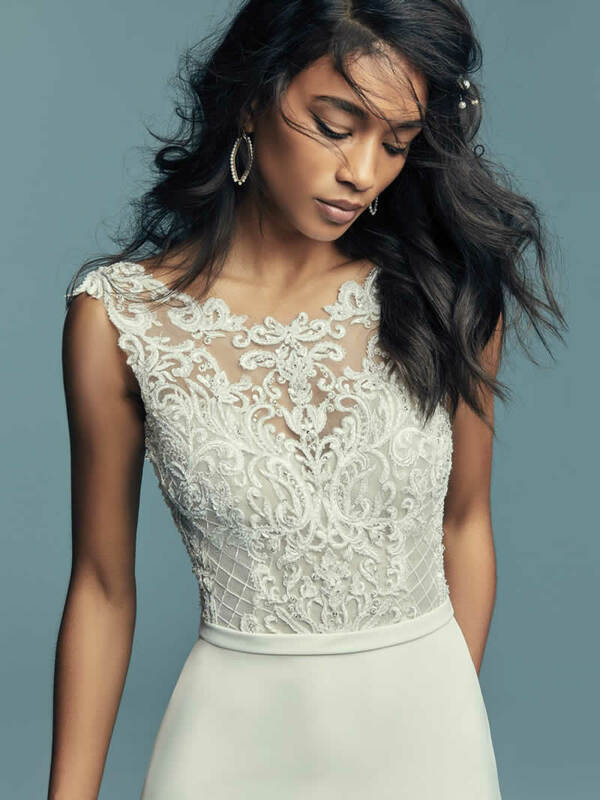 Aldora Crepe fit-and-flare skirt features tulle and lace godets at the sides and back, all accented in lace motifs. Completed with an Aldora crepe belt. Finished with covered buttons and zipper closure.